Your baby isn’t herself today. She seems tired and a tad cranky, and when you picked her up, she felt warm. You know you should take her temperature to see if she is running a fever, but you dread having to use a thermometer to get an accurate reading. For babies older than 6 months, an ear thermometer like the Kinsa Smart Ear Thermometer is an easy solution with its one second read time, gentle probe, and easy to use, convenient app. 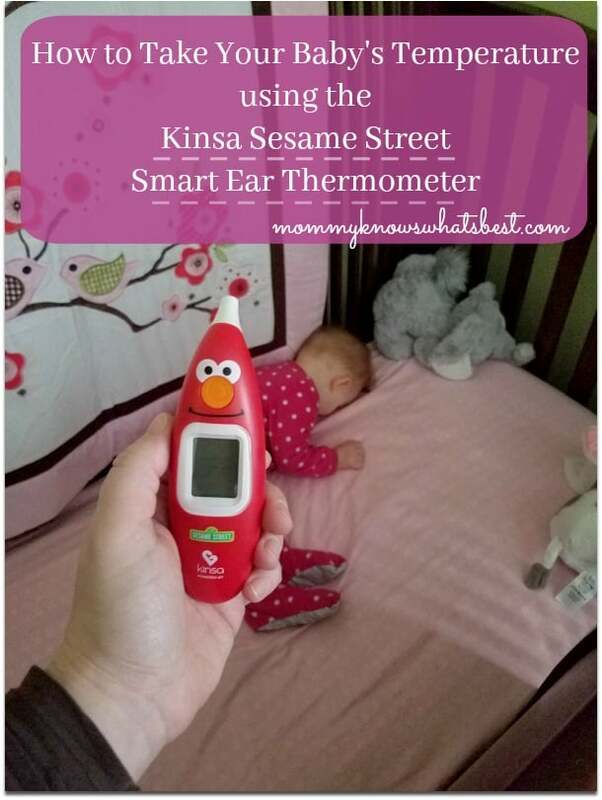 Thanks to Kinsa, I have been able to try out the Kinsa Sesame Street Smart Ear Thermometer with my baby. Make sure the thermometer is clean. Gently clean the probe with rubbing alcohol. Set it up to connect to your phone and set up all profiles first. 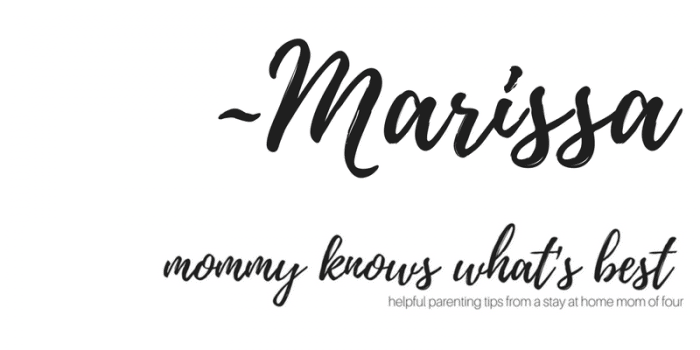 It makes it so much easier to sync the thermometer readings to the profiles when the time comes to take your baby’s temperature during an illness. Introduce the baby to the thermometer. 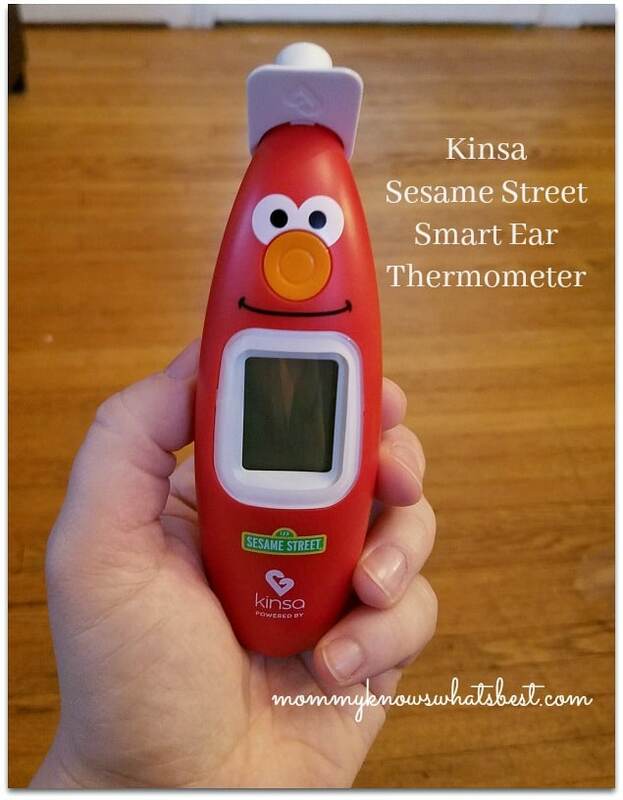 If you have the Kinsa Sesame Street Smart Ear Thermometer, it should be fun! With Elmo’s smiling face, it can be easy to get a smile back from the baby. Make it seem fun, and that way baby will be less hesitant when you try to get a reading. Take what I consider a base line reading. 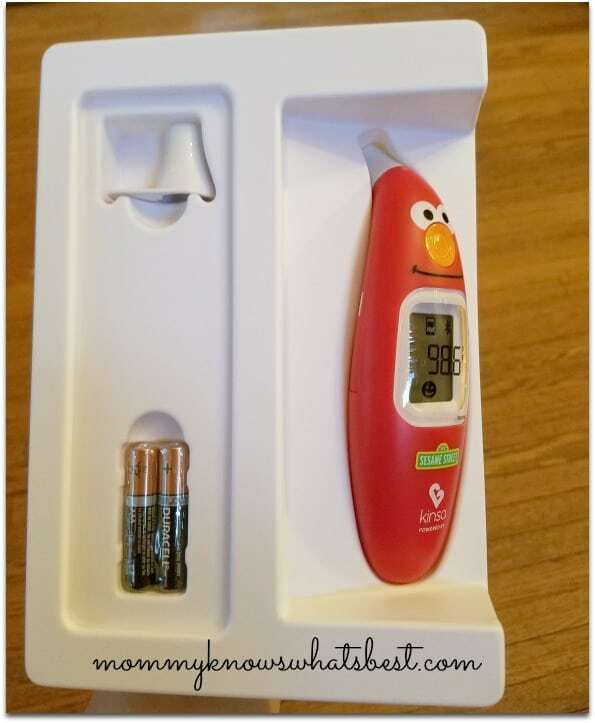 Not only will this give you practice in using the thermometer, it will let you know what your child’s temperature is when he or she is feeling well. It’s nice to have a baseline reading to compare to when your child may be running a fever. I recommend doing this for all members of your household. Please note that core temperatures vary by age, time of day, area of measurement, etc. Try to keep baby still. You want the baby to be as still as possible when getting a reading on the thermometer. Try singing quietly to the baby or entertaining with a fun video on a tablet. 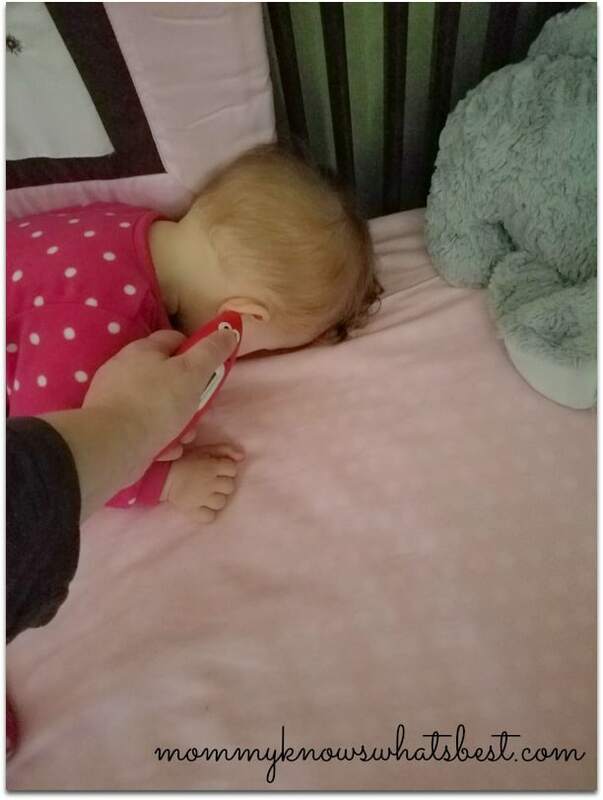 Of course, if baby is sleeping, using the thermometer shouldn’t disturb him or her at all. Take measurements in the same ear each time. Readings may differ from the right ear and left ear. Gently pull back baby’s ear before inserting. Pulling back the ear allows you to insert the probe properly to get the best reading. Take temperature three times in the same ear and use the highest of those readings. This is especially important for infants in the first 100 days, kids under three with a compromised immune system, and those who are using the thermometer for the first time. Clean after every use. This is very important as you don’t want to be spreading germs (or ear wax…ew). Everything you see here comes with the thermometer, including a manual. I love that it comes with batteries and that it doesn’t use the small button batteries! According to the manual, the batteries should last 2 years, which is definitely a plus. I find this thermometer very easy to use, and I appreciate being able to store the readings in my phone to compare them to prior readings. I really like that I can add in when I gave the kids a medication and how much so I’m not guessing when the last time I gave them medication was. I can even set a reminder for the next dose, which is convenient. Also available in the app is Groups. 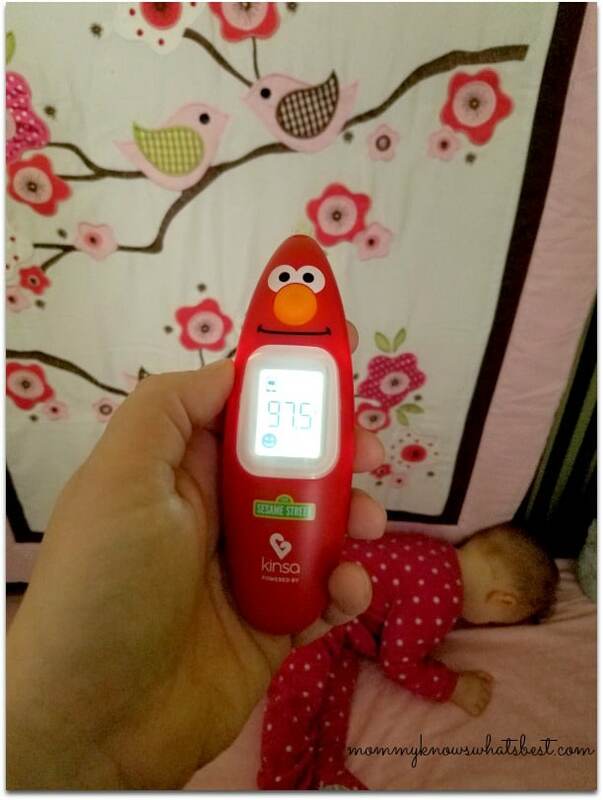 When other parents in the area have a Kinsa thermometer and join a group, they can share information like illnesses that are going around, particularly in a school. It’s helpful to know what symptoms to look out for or what illnesses your child may come home with during cold and flu season! 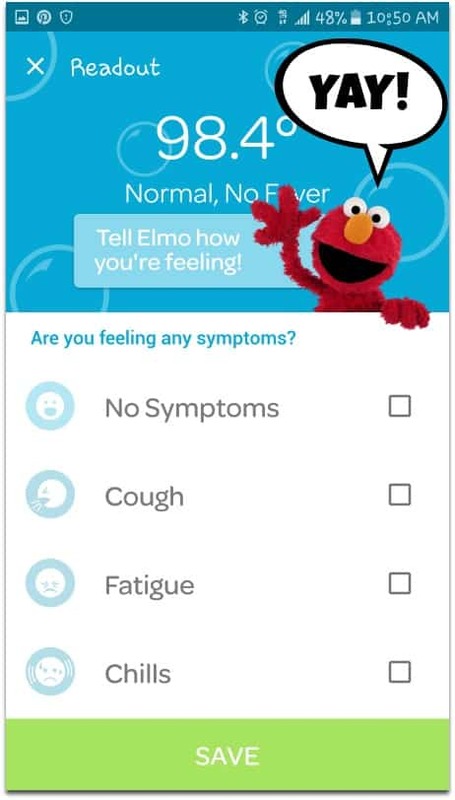 You can find the Kinsa Smart Ear Thermometer, both the Sesame Street one or the blue one, on the Kinsa website or on Amazon. 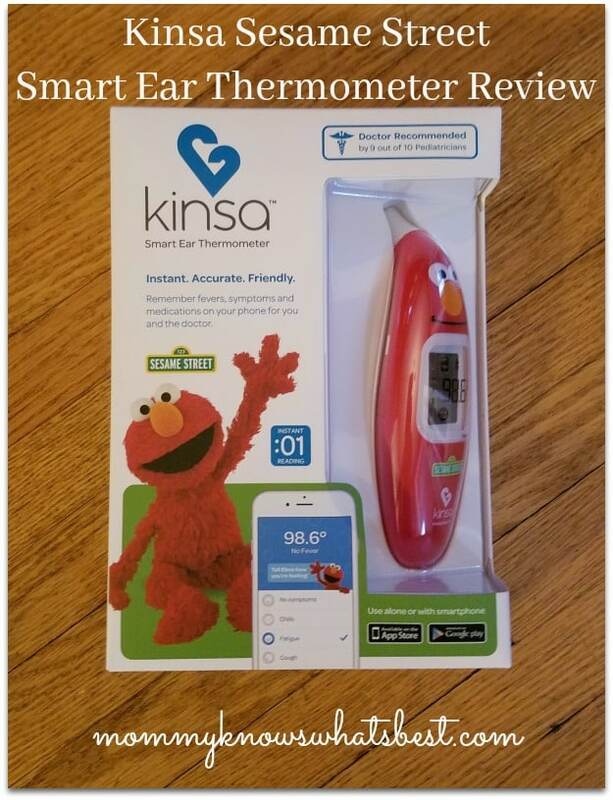 Many thanks to Kinsa for sending me this thermometer to review! 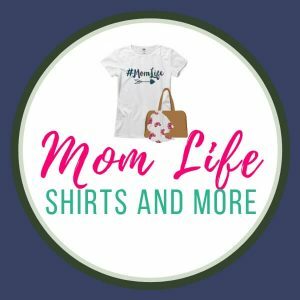 Be sure to visit them on Facebook, Pinterest, Instagram, and Twitter for healthy tips and advice for families. This post contains affiliate links, which may provide me with a small commission at no extra cost to you.